Security Expert Centre » Comments → Is it possible the side effect of the sanctions? Comments → Is it possible the side effect of the sanctions? Is it possible the side effect of the sanctions? We seldom hear this question analyzing the sanction’s policy. 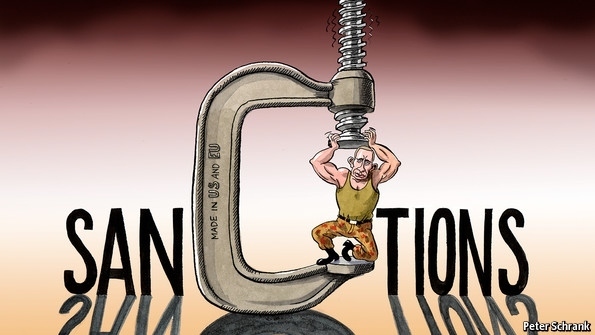 Actually, the sanctions can impact not just the state against which they were imposed but also to hit the neighboring countries, in the case of Russia, for example, to effect on the foreign policy Belarus and Kazakhstan. In the wake, mentioned states try to expand and diversify their foreign policy trends. Belarus. While Russia tries to fan “the milk conflict” with Belarus, China and Iran try to make a business with Belarus. Belarus and China signed a visa-free agreement on June 10 and negotiate and spoke in favor of the strengthening cooperation in the future. Belarus is an eventual transit state for China’s One Belt, One Road project in route to Western Europe. As Geopolitical Future mentioned about 8% of Belarus’ imports come from China, and bilateral trade has exploded from $34 million in 1992 to more than $3.5 billion in 2016. It is a nice possibility to diversify the goods flows for Belarus. Relations between Belarus and Iran got a new impulse for expanding and strengthening economic ties. There is a new trend in Lukashenko’s policy Belarus exports far more to Iran than it imports and last year Minsk received first tanker with Iranian oil. Does Belarus look for an alternative to Russian investment and energy supplies? Kazakhstan. Recently Kazakhstan’s Energy Ministry has offered to parliament a law that allows to freeze Russian imports of petrol through Kazakhstan rail for three months. Kazakhstan buys the majority needing volume of petrol in Russia but lately Russia unexpected raise the fuel prices which could result in higher prices in Kazakhstan. Kazakhstan plans to completely stop importing fuel from Moscow by 2019. Moreover, Astana tries to develop the relationships with Washington allowing the United States to use two of the nation’s Caspian Sea ports as transit points for shipping nonmilitary material to Afghanistan.